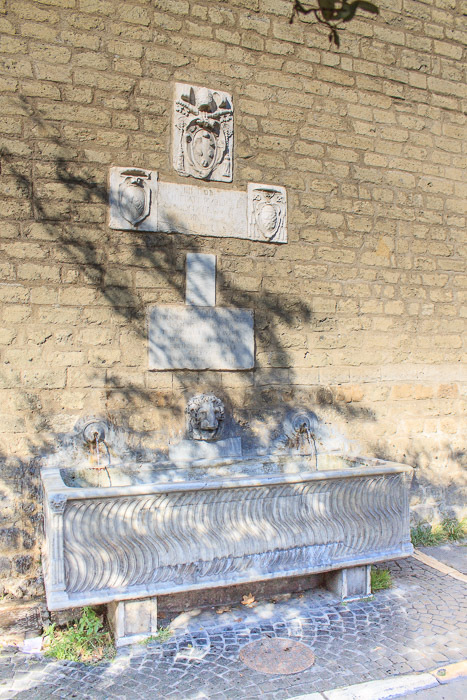 The Fountain of Cavelleggeri Gate is a simple wall fountain one block south of the south edge of St Peters Square. Two outlets in the brick wall provide water into the sarcophagus-like basin. See all Fountain of Cavelleggeri Gate photos.